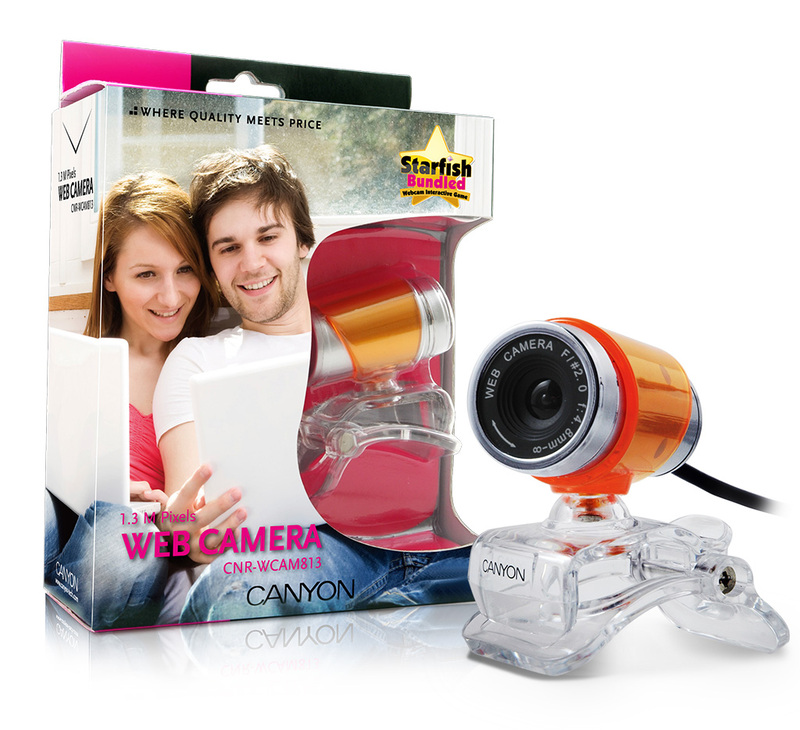 The CNR-WCAM820HD is a 2 Megapixels USB webcam with CMOS sensor offering a cool design and high quality video calling. It features a five-layer glass lens with a viewing angle of 70 degrees, face tracking software, a digital zoom function and an automatic brightness adjustment, white balance and color compensation. This webcam also has a built-in microphone, as well as several image effects and photo frames to add some fun to your chatting or gaming sessions. A convenient clip enables you to secure the webcam to the LCD monitor of your desktop computer or laptop, but it can also be positioned stably on a flat surface. The CNR-WCAM820HD is compatible with the major instant messaging programs as well as with all Windows versions available including Windows 7.